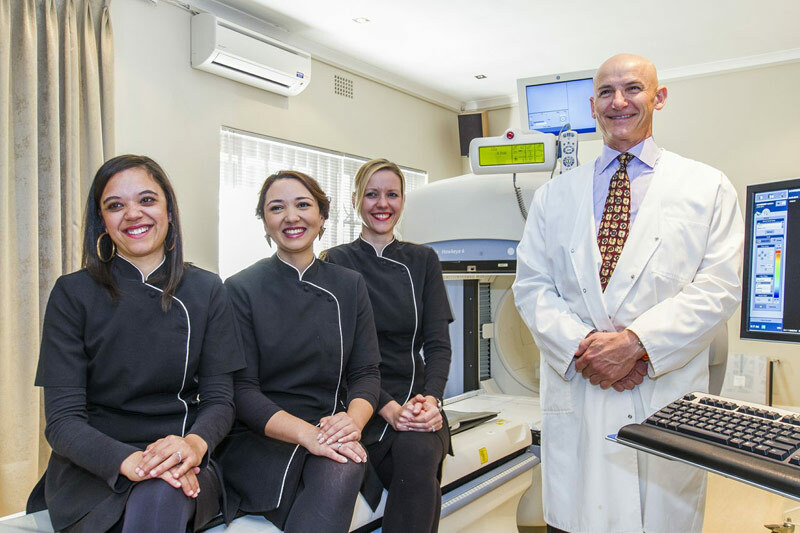 The Claremont practice was established in 2001 and was acquired by Dr. Botha in Jan 2005. It is equipped with a General Electric Hawkeye-4 Spect-CT scanner. It is located in Claremont Medical Village, which incorporates Kingsbury Hospital and a wide range of local specialists based in the hospital grounds. The Christiaan Barnard Hospital practice was established in 2009 and relocated to the new premises on the Foreshore in Dec 2016. The practice is equipped with a new state-of-the-art scanner, the GE Optima 640 Spect-CT gamma camera. 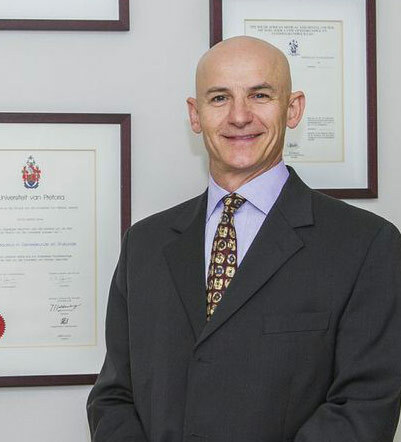 Dr. Pieter Botha completed his undergraduate medical training at Pretoria University. He worked in Anaesthetics initially and obtained his DA (Diploma in Anaeshetics) as well as the ACLS (Advanced Cardiac Life Support) certification. He subsequently gained experience in different medical fields, working in the United Kingdom and Canada. On his return to South Africa he worked as a family GP in East London, Eastern Cape. He returned to government service and worked in general surgery and ophthalmology and obtained his FCS part I, as well the ATLS (Advanced Trauma Life Support) certification in 1999. He became interested in the field of Nuclear Medicine and commenced registrar training in 2000 at Tygerberg Hospital, Cape Town, where he obtained the FCNP (Fellow of the College of Nuclear Physicians) in 2004. He started private practice in Claremont in 2004 and in Christiaan Barnard Memorial Hospital in 2009. He is a keen sportsman and enjoys tennis, mountain biking and beach sports. He is an accomplished guitarist and bass player. He also has a keen interest in cultural life and enjoys travel and fine dining.